"if you don't attend, your voice isn't heard"
This is YOUR Lodge... Get Involved.... A Lodge is only as strong as its members! Congratulations to our raffle winners: Robert Henneman - rifle; Kent Warner - shotgun; Jim Fitch - muzzleloader. Thanks to all the members who helped to sell raffle tickets. 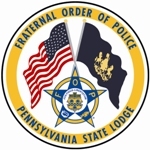 Our lodge was chartered in 1944, and is comprised of law enforcement officers; both active and retired; from Bradford and Tioga Counties, in Pennsylvania. We are also proud of our associate membership who support and appreciate our efforts. F.O.P. Northern Tier Lodge 60: "Chartered in 1944"